Yep, been absent for quite a while. Partly due to life (moving country/starting a new job) and partly due to me hiding from the truth. I have been letting things slide ever since I came back from my USA trip last year. I put on a few kgs while I was away but then just slipped into old bad habits and found all the old routines settling back in. Almost twelve months later I’ve put on more than 20kgs of the 56 I lost and am totally disgusted with myself. I’ve been going to the gym regularly and running and doing PT but my diet has been appalling. Plus I’m struggling with injuries which just messes with my head. For the past few weeks I have been waking up about 3am feeling disgusted with myself and how much I’ve been eating. 3am. Regularly. What must I do to change this???? How long can one person keep waking themselves up just by sheer hate for themselves? On Friday night/Saturday morning, something clicked. It’s kind of like building a fire. 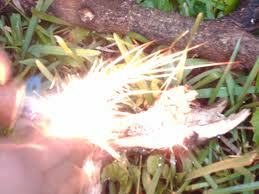 At the moment, I have the piece of flint and I’m getting sparks. I’ve made good food choices all weekend and almost revelled in the feeling of being hungry. It’s like that hunger is making me stronger. The fire is just a spark at the moment. But all it takes is a spark. I look back on photos from my USA trip and realise I never actually appreciated what I had achieved. And I don’t think I know/knew how to be fit/healthy or anything other than fat. I’ve been overweight my entire life so I don’t know anything else. I don’t know how to walk into every day clothes shops. I don’t know how to receive compliments. I don’t know how to be anything other than fat. But you know what? Just because I don’t know how to do it, doesn’t mean I should have given up on it so easily. Maybe, when I’m busy working out and eating right, I need to be working on my headspace as well. Cause there are a lot of things I don’t know but I don’t give up on them. So maybe I should stop giving up on myself. Or maybe instead of the heading being “maybe i’m just meant to be fat”, you should have written “maybe I’m just meant to be…human”. You had set yourself on such a big path of constant achievement, that you never did give yourself or body time just to catch up. Instead of being disgusted in yourself, just take action to get yourself to where you want to be again. You have done it before and can do it once more. Clean out your kitchen – get rid of the snacks and replace them with healthy choices. Pre-prepare where you can. Take food to work with you. I am assuming in NZ that you aren’t travelling all the time, so should have time to make good food choices, and cook/prepare yourself healthy meals. And when you slip up, forgive yourself and move on. Eat well at the next meal. Make it simple. Lean protein, lots of veggies/salad, some good carbohydrate and good fats, small amount of dairy, fruit as a snack or after a workout. Drink water. It it doesn’t fit into one of these categories it is a sometimes food that you have for a treat, as opposed to something your eat/drink every day. You always have and always will love to train, but unfortunately for you food will always be your limiting factor to success. You have always seen food in two lights – as comfort when you aren’t being strict on what you eat, or as simply fuel when you are in the weight loss frame of mind. Maybe you need to start to work on your relationship with food and what the right food can do for you and your running, as well in assisting in the recovery of injury. Keep writing this blog! Its your way of mulling things over and keeping yourself accountable to both your actions and thoughts. It was one of you biggest tools to your success last time around, and it needs to become a regular part of your plan again. Doesn’t need to be an inspiring essay, just simply an account of where you are at at a particular point in time.